Skipping stone is a 54 ft Pearson. If I had to describe her in 1 word I would say Solid! 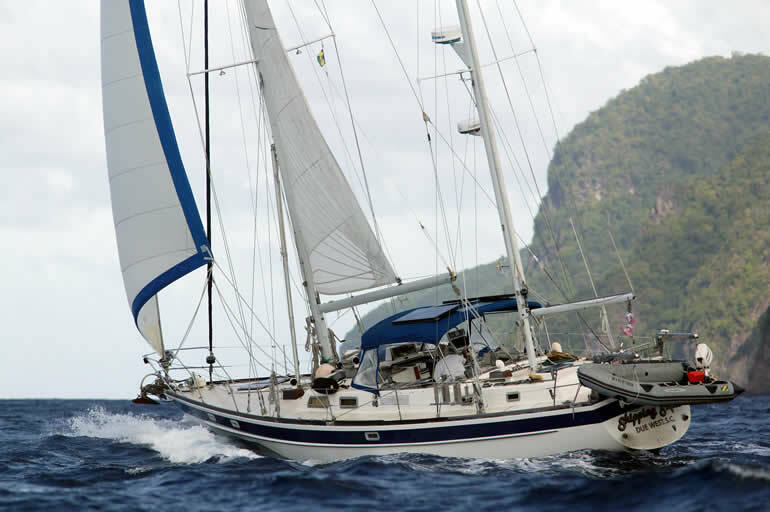 She is a heavy displacement monohull with a powerful ketch rig (two masts) and a keel with additional centerboard which makes her a stable and comfortable performance cruiser. 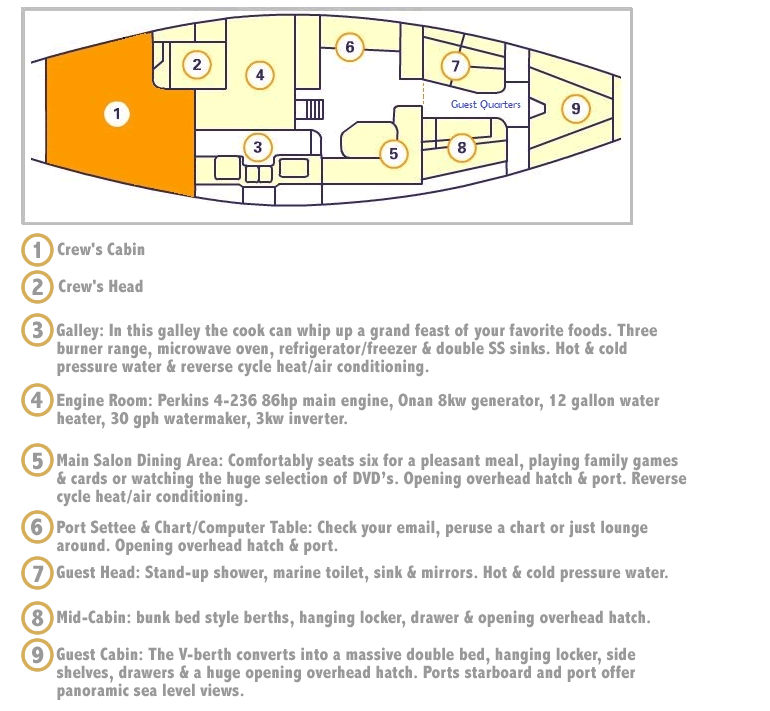 This is a true sailing yacht charter, the engine is used very little. 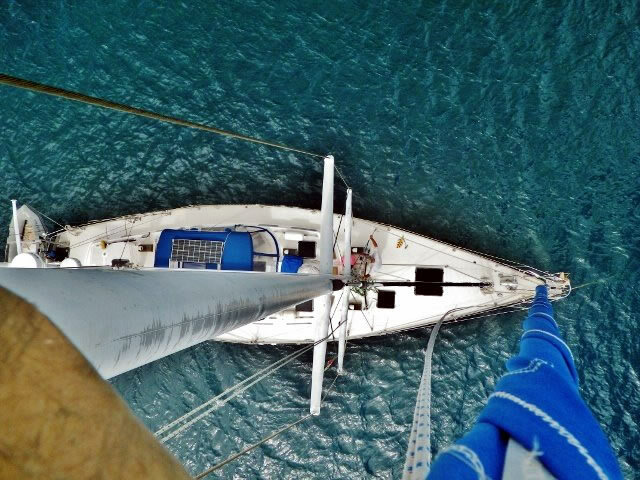 Wide gangboards with plenty handholds make for easy and safe foredeck access. 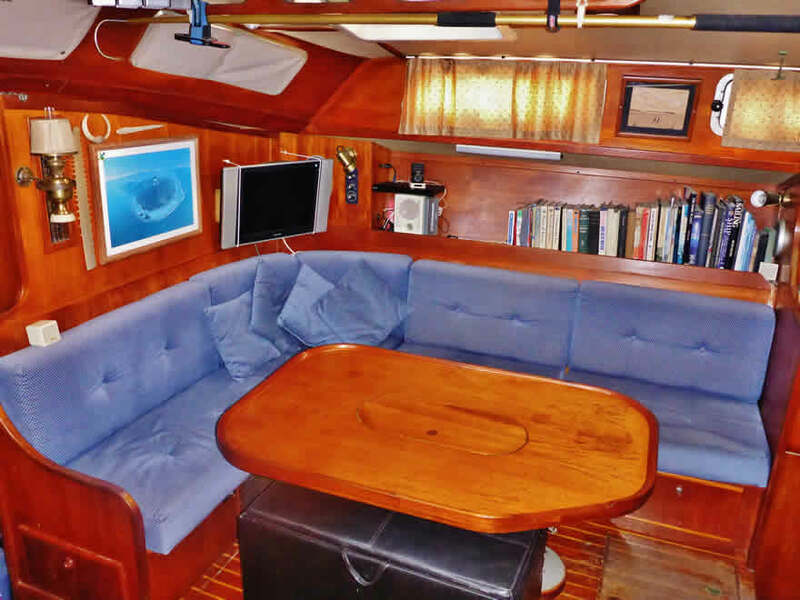 The very large aft deck is ideal for sunbathing and fishing (a very important activity on this yacht). 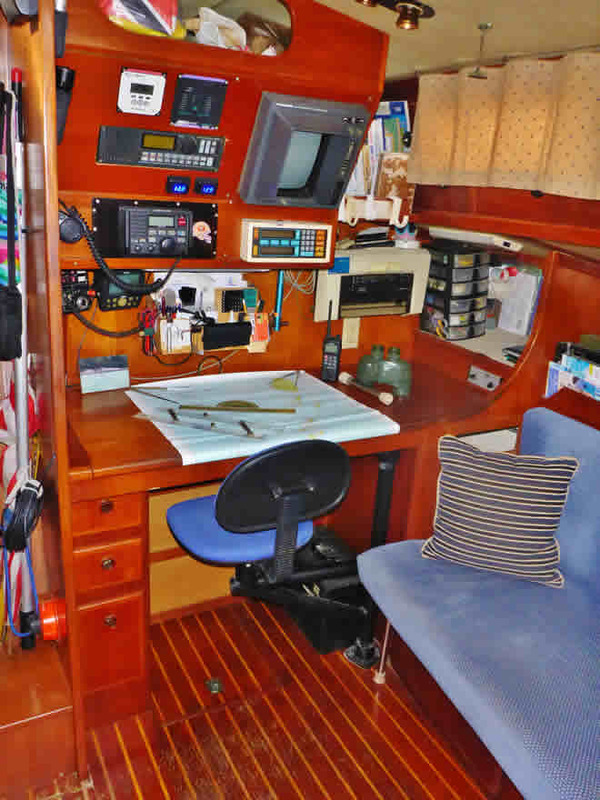 The cockpit is shaded by a bimini and protected from the elements by a dodger. The interior is classic, hand laid in beautiful wood. There is ample headroom (6’4″ at least) in the well ventilated saloon. The entire front is the guest quarters. 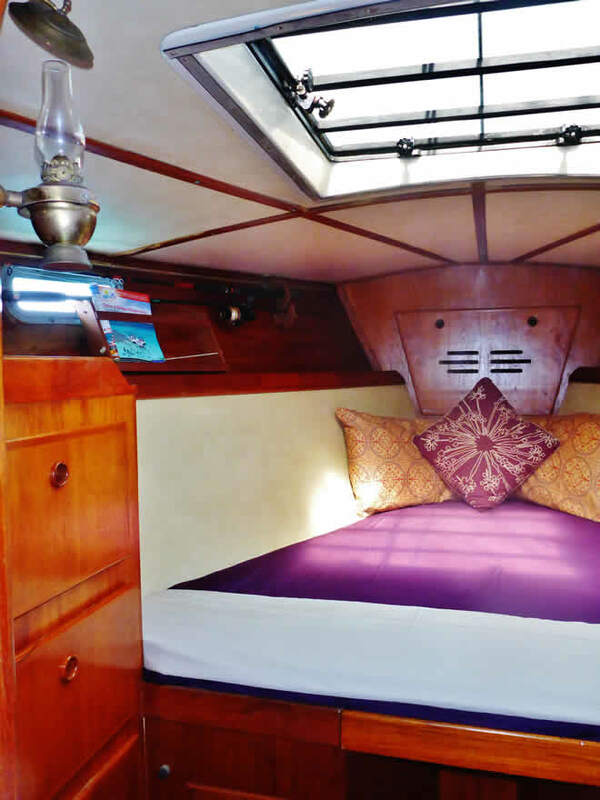 The V berth coverts into a comfortable double with a very large opening hatch overhead. Additional side ports and a fan ensure a very well ventilated cabin. There is plenty of storage space in large drawers and a hanging locker but please do not bring hard suitcases. 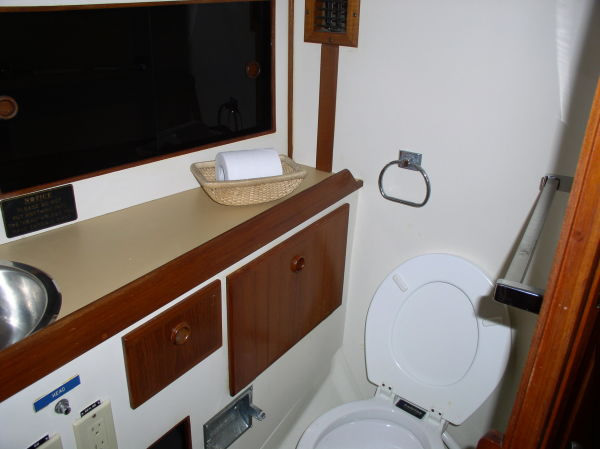 The ensuite guest head and shower area is quite large even for a yacht this size. Captain Andrew has been a professional seaman/captain from the age of 16. From charters to tugs to freighters, he has oceans of experience. 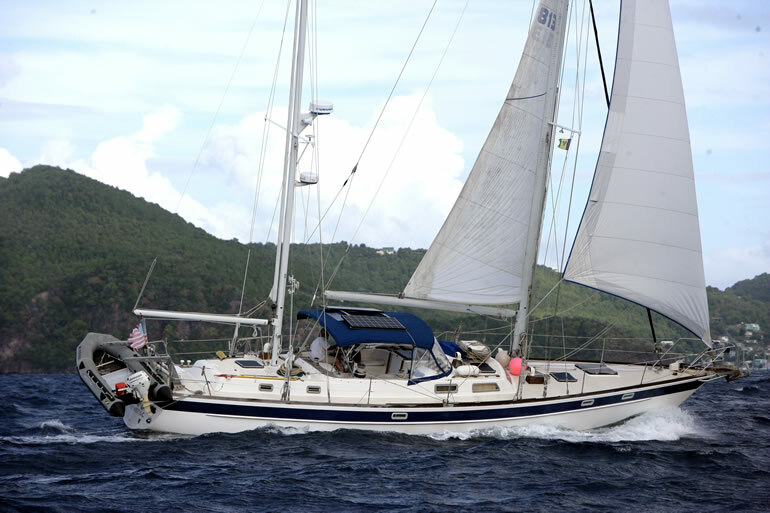 “Officially” retired, he purchased this yacht to return to his favorite charter area, the Grenadines, where he first did charters decades ago. 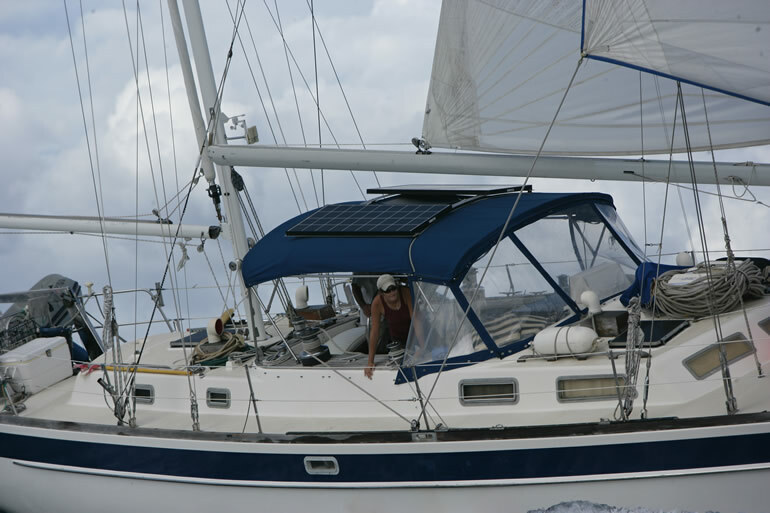 He is now sharing his extensive knowledge with first mate, chef, hostess, engineer, fisherwoman, snorkeling guide Nikki. Nikki grew up and worked with horses. 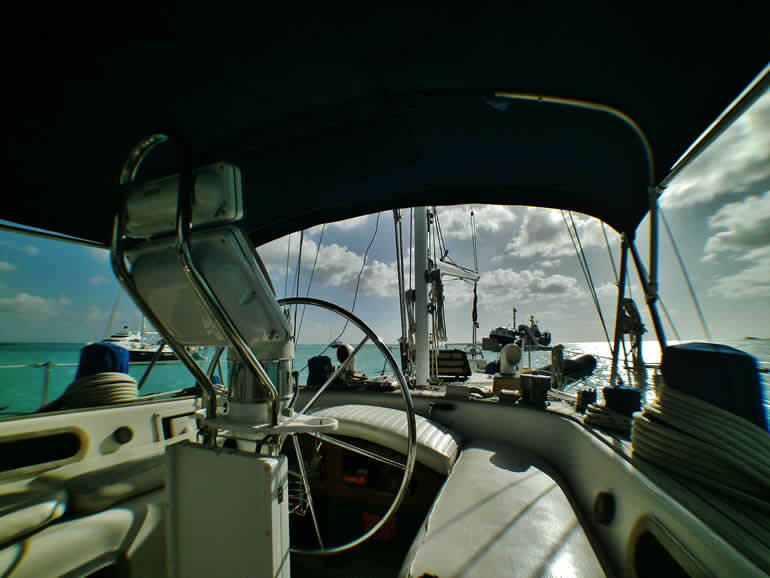 After an ocean voyage with captain Andrew her choice was made to learn everything about boats and becoming a captain herself. She knows all systems on board, from the top of the mast to the depths of the engine room. Very enthusiastic about snorkeling she loves to show you the best spots. 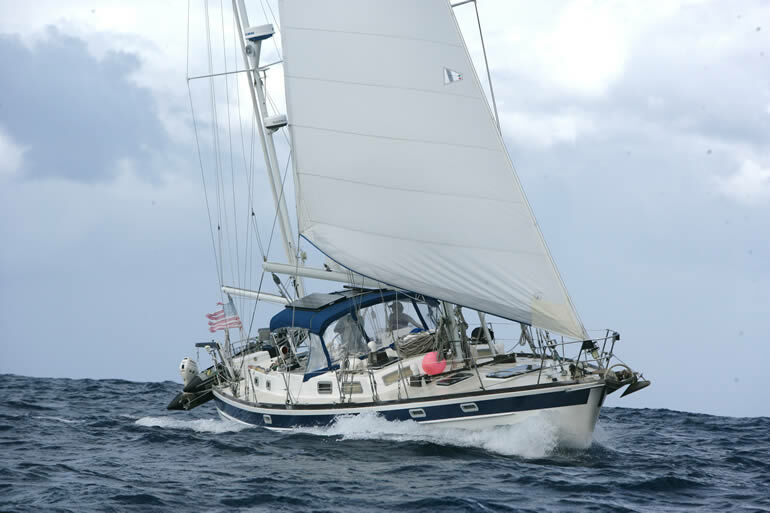 She delights in meeting people and making sure you are happy and comfortable on board is her priority in life. You’ll come as guests and depart as friends! Skipping stone will meet you anywhere in the transboundary Grenadines.